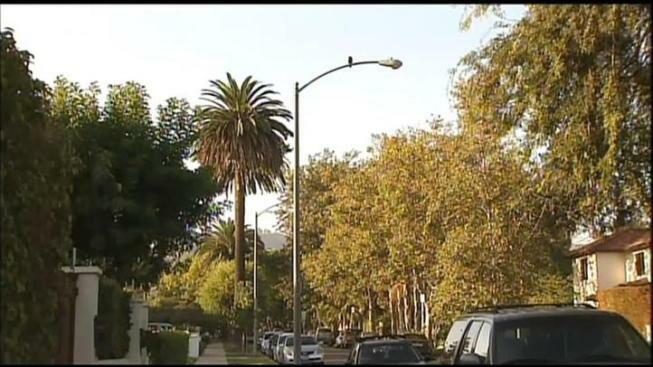 A Melrose District neighborhood was cloaked in darkness this week. But it wasn't a storm, or heat wave or natural disaster that did it. DWP crews think it was copper thieves. Their actions disabled dozens of street lights. "I think it's just in the last couple of weeks," said resident Joy Ellison. "I was out of town, so when I came back it was like this. It's amazing to think this can happen." "It wasn't only the 800 block of Stanley," said Joan Fitzpatrick, a block captain for her neighborhood. "There was Spalding and many other blocks over toward Fairfax that also had the same problem." The owner of a Melrose Avenue restaurant says it's hurting business. "People are complaining at night when they leave the restaurant," said Huguette Hennequin of Maison Richard. "They think it's very dark and they are scared about the safety in the street." Fixtures near Waring Avenue and Stanley Street are just the latest targets of copper thieves. Across the Southland, criminals have poached copper on everything from air conditioning units to lighting systems on athletic fields. If you see suspicious activity, it might be worth calling the police. "There are a few trucks cruising at night," said Richard Ginsburg of LADWP. "But unless you see the City emblem on the side of the truck, you know that there's something going on." It's a dangerous crime. There have been reports of people being killed when tampering with copper wires. "There is a risk," said Ginsburg. "People can get electrocuted. It doesn't matter what the actual voltage is. Under the right circumstances, it can kill you."